In 2000, I was wandering Miami with vague notions of visiting some place the guidebook called the “Fashion District.” I wasn’t too keen on fashion, but thought, “what the heck, it’s Miami, right?” It must be some place where I could watch super-rich people spend their money. Nope. What I found was a dead neighborhood of weird old clothing shops devoid of shoppers. It was the kind of neighborhood a suburban kid like me stayed out of. So how is it I find myself back there 15 years later obsessively posting picture after picture to my Instagram feed? The neighborhood is Wynwood, and in the intervening years the neighborhood completely turned itself around thanks to one thing: graffiti. 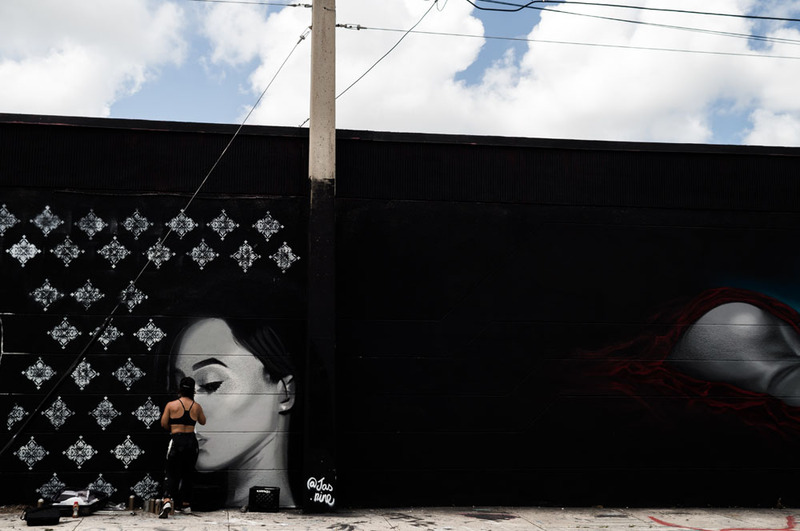 The rough parts of any town have it, but none have embraced it and encouraged it quite to the level that Wynwood has. 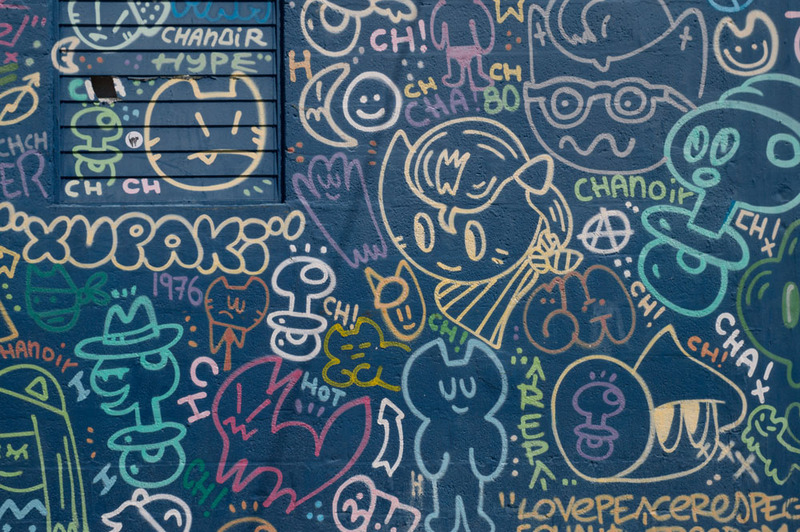 A few years ago, the same developer who helped revitalize South Beach and SoHo bought up much of the property and invited street artists from around the world to come and create. By creating a focal point and raising the bar for graffiti, it attracted other talented artists, who expanded the creativity beyond the original development. While the original Wynwood Walls are beautiful and a very fun place to take a selfie, the most interesting thing about Wynwood are the side streets. There, taking a walk is like being in an open-air art gallery where the curator has gone on vacation. On one wall, a manatee sliced in half. On another wall, homosexual cakes. Down the street from there, a tribute to victims of police brutality. Beautiful. Profane. Disgusting. Inspiring. Boring. There’s no filter, just an expressive display coming at you from all directions. Compare this to the ordered, uniform streets of suburbia. In suburban neighborhoods, you pay a Homeowner’s Association a regular fee to provide community spaces, amenities… and also make sure that no one steps too far out of line. Neighbor decided to paint their house hot pink? Your HOA’s effectiveness is measured by how fast they can force them to repaint it. Select a color from the approved list, please. Both types of neighborhood have similar aims – create a pleasant environment where people want to live and (subsequently) increase value to the point where both the developer and owner can profit. One does it through control, the other does it through creativity. I know which kind of neighborhood I’d rather live in.